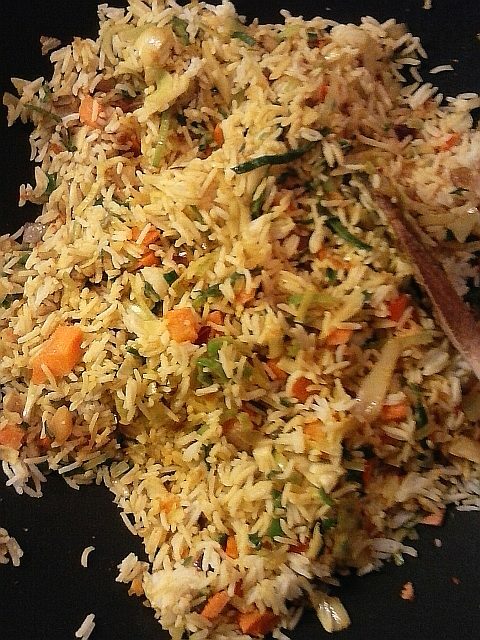 Fried rice, nasi goreng, has become a staple dinner and side dish in Holland since it was imported from Indonesia. In Indonesia fried rice is a way of serving last night’s leftovers for breakfast, so feel free to vary the vegetables you add. Just start with some boiled rice. Cold rice gives the best results, but you could cook some specially. This dish can be made more fun and elaborate by putting side dishes on the table for people to add to their plate as their palate and appetite dictate. A few suggestions: small bowls of chopped (pickled) cucumbers, toasted peanuts, toasted dessicated coconut, sliced banana, sliced spring onions and cooked tofu. And don’t forget bottles of hot chilli sauce and soy sauce (the syrupy Indonesian version for preference). 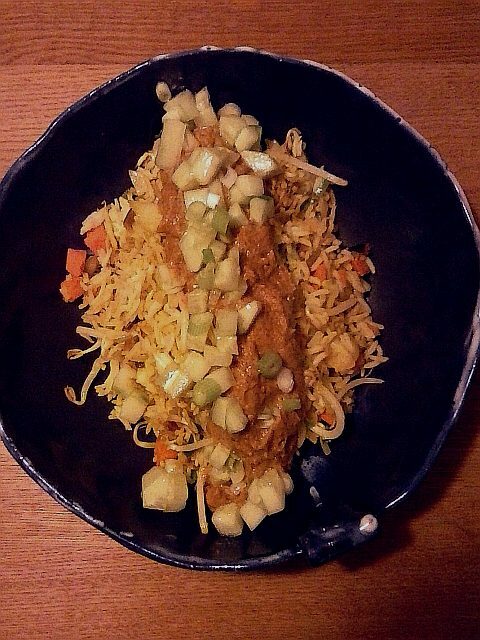 Here, I’ve added a satay (peanut) sauce for protein: very easy to make and utterly moreish, so please don’t let it’s ugly looks put you off. Allow a wok or large frying pan to get nice and hot. Put in the oil, the ginger and garlic and the spices. Allow to bubble for a few seconds, then add all the vegetables except the beansprouts. Stir fry for a few minutes: the vegetables should still have some bite. Now add the rice and stir well to combine all the ingredients. When it is hot, stir through the beansprouts and lime juice, and season to taste. Warm the turmeric in a small saucepan over medium heat for about 30 seconds. Add the peanut butter and slowly stir in the water. It will combine as it warms up. Heat gently until bubbling, stirring carefully so that it doesn’t burn. 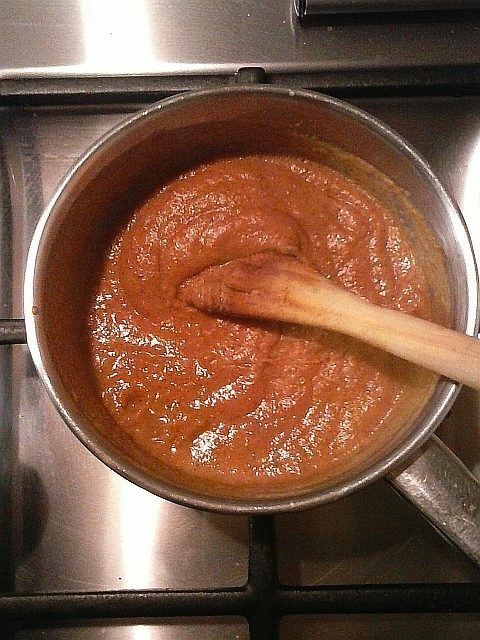 You may need to add a little more water to make a thick but pourable sauce. Stir in the sugar, soy sauce or salt and pepper. Serve over or alongside the fried rice. heerlijk, ik krijg direct zin om het weer eens te maken!